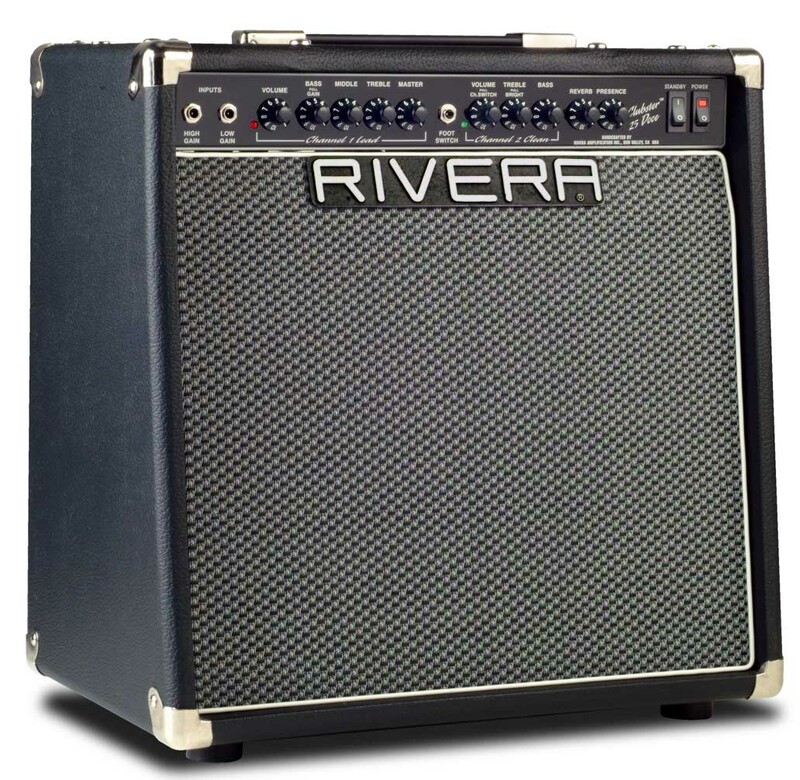 Meet Rivera's more affordable and flexible, dual channel 1x12 combo, the Clubster "Doce"! 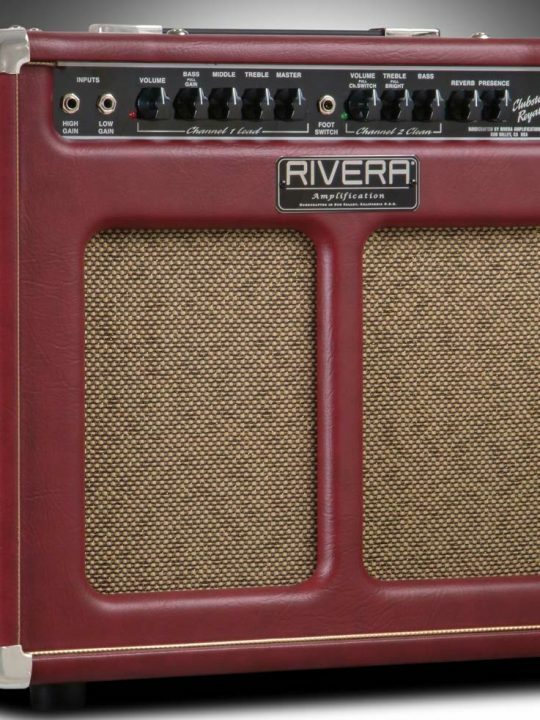 Featuring 25watts of sweet & spongy 6V6s. 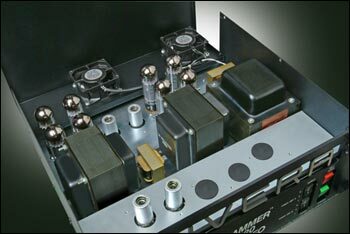 Luscious foot-switchable spring reverb included. 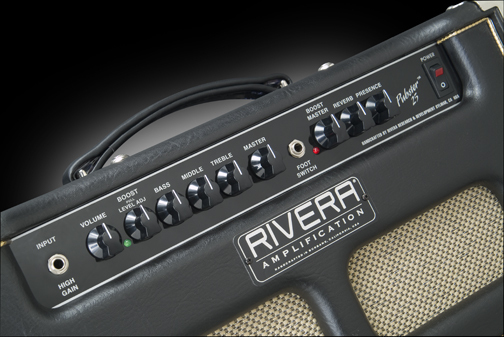 Built small and smart, the Rivera Clubster belts out a rich, all-tube tone that’s anything but compact. 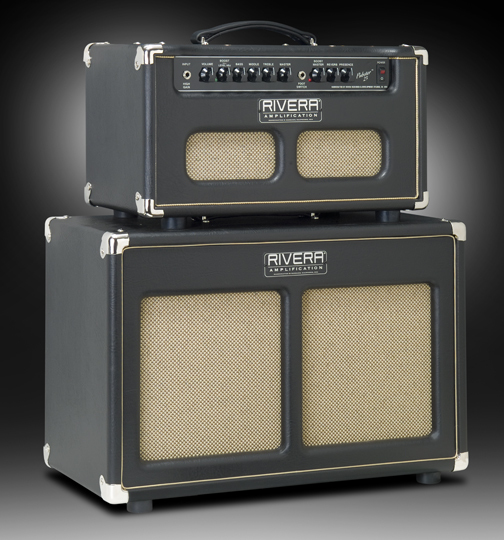 With 25-watts and a 12″speaker, the Clubster offers two independent, switchable channels, genuine Accutronics® 3-spring reverb, a specially voiced Celestion 70/80 speaker, and high-end features such as an effects loop and line output. 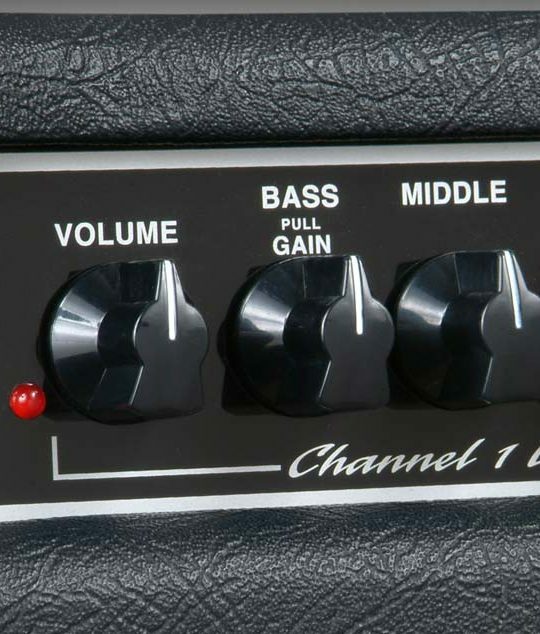 A slant-back front on the rock-solid cabinet makes it easy for guitarists to hear the Clubster without placing it on a chair or riser, simplifying setup and utilizing the natural bass-enhancing effect that comes from having the amp sitting directly on the floor. 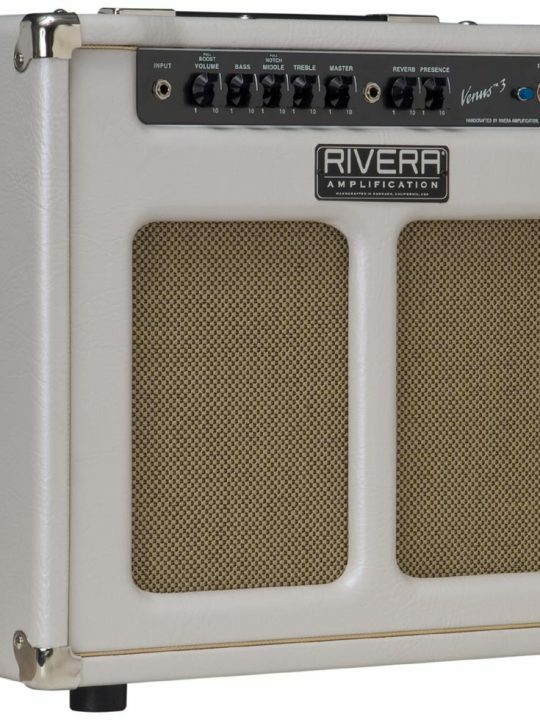 The Clubster uses an open-back design in conjunction with its Celestion 70/80 speaker to enhance its impressive range of classic, beefy tones. 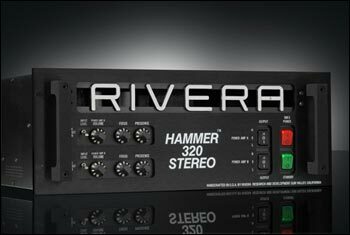 Ruggedly constructed using an over-sized transformer, a welded steel chassis, nickel-plated steel corners, and military-grade components, the Clubster easily withstands the rigors of road and studio. 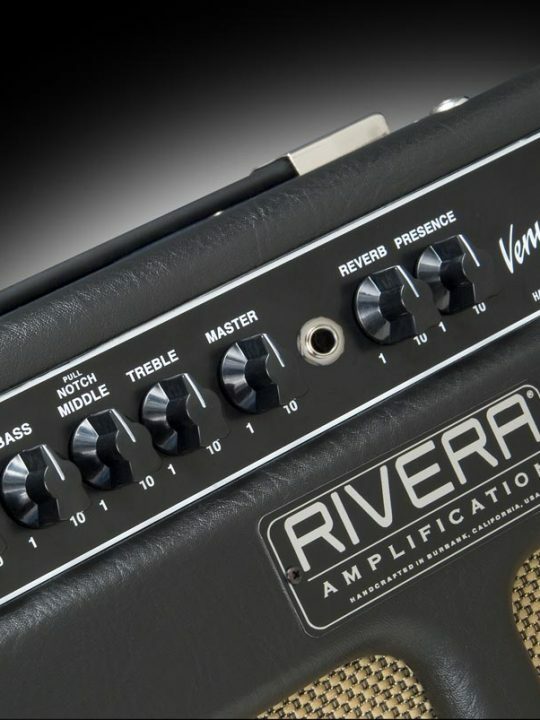 Construction details include a 5/8″-thick, lumber-core plywood enclosure covered with roadworthy black Tolex, and rubber feet and a steel-reinforced vinyl strap handle for extra convenience and portability.